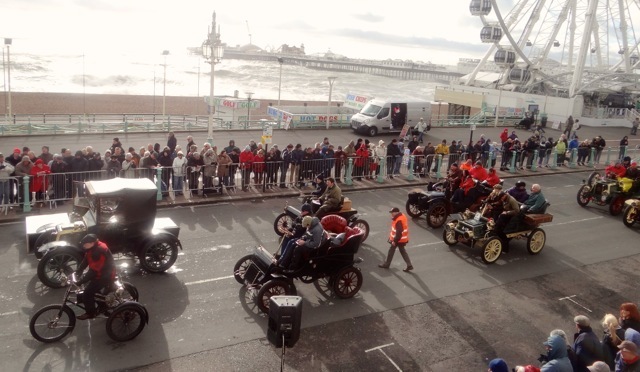 I normally have a little sulk if I get left at home but on Sunday I was very pleased to stay tucked up safe and warm while my ‘humans’ set off on the annual London to Brighton Veteran car run, for which of course I am far too young! After leaving home at the unearthly time of 4.45am, the morning was absolutely dreadful with torrential rain and so cold it was sleeting from time to time. 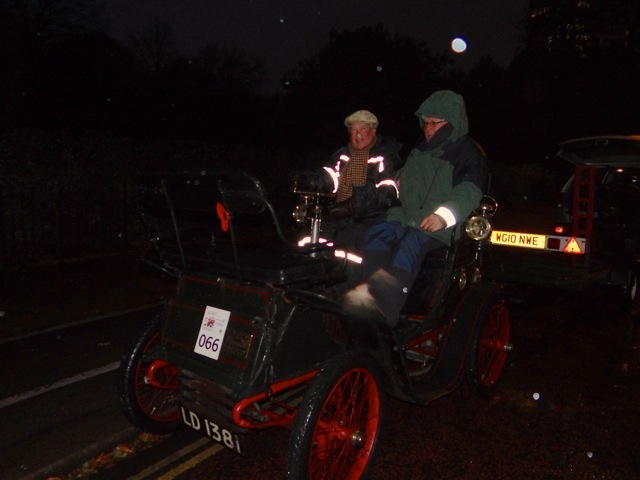 It was still pitch dark when unloading the car, a 1900 De Dion Bouton in Hyde Park. 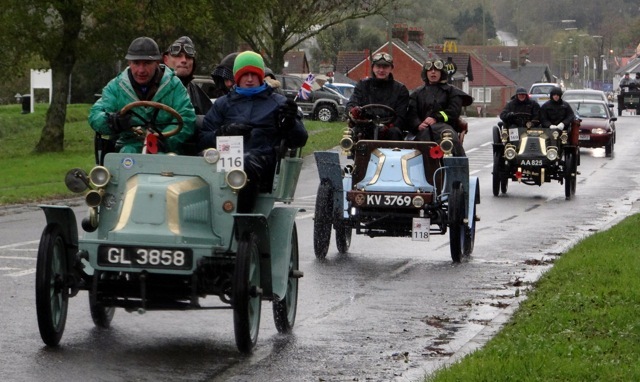 The cars depart in age order so the De Dion had a fairly early number – 66 and corresponding start time of 7.10am. 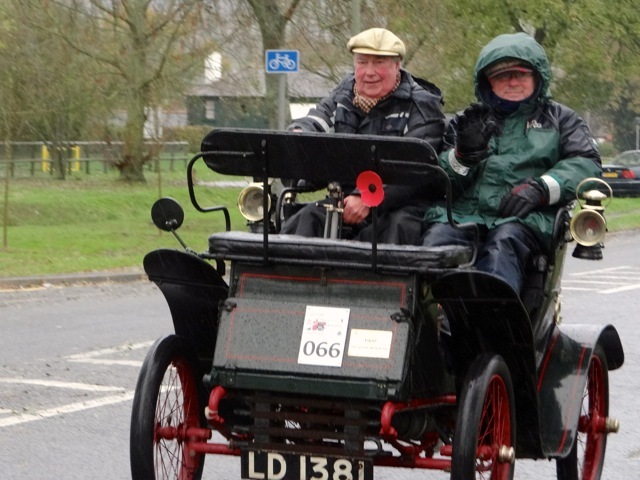 James and the De Dion’s human, Mike set off for the start while the (sensible) girls left in the tender vehicle to find a suitable spot on route to wait for them to come past. 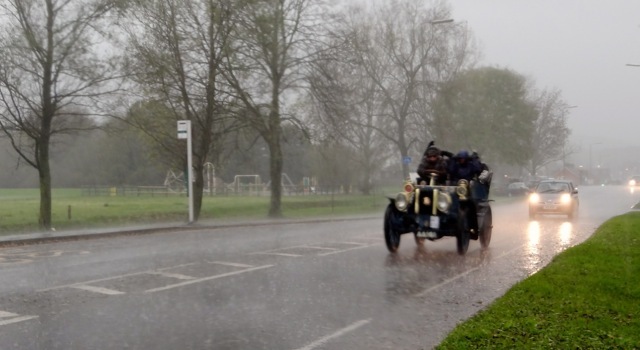 We stopped between Redhill and Crawley at a spot where the locals provide water for steam cars and refreshments. The rain had been heavy now for hours and there was a lot of surface water and some localised flooding. The cars started coming past all looking very wet and cold but most managed a wave and smile at the equally wet spectators who had turned out in the bad conditions to watch the run come past. 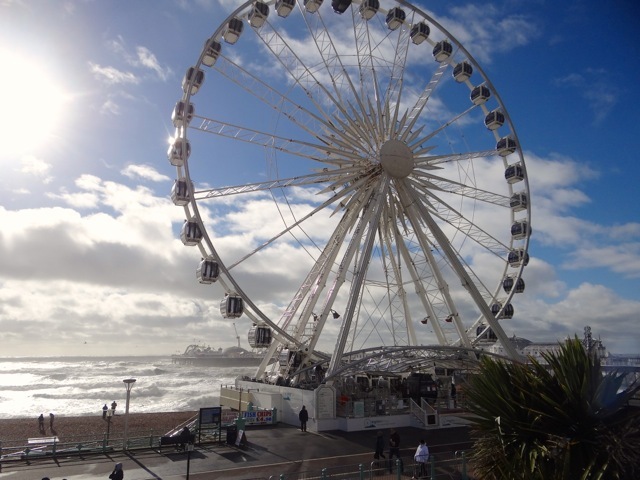 By the time we arrived in Brighton it was dry and the sun was starting to shine, although it was so windy you could hardly stand up. 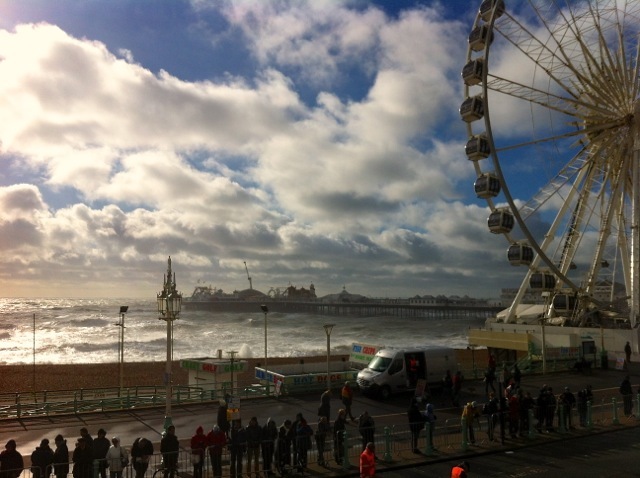 The Pier looked very dramatic with huge rolling waves and sea mist. 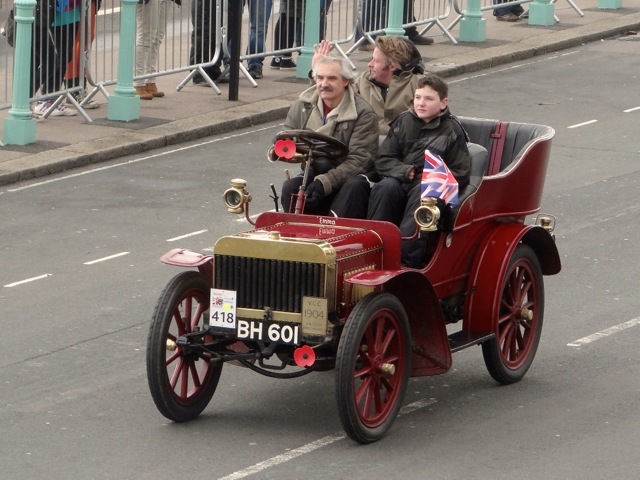 The cars started to arrive shortly before ten-thirty, although the bulk didn’t get there until lunchtime and beyond. The cars that were last to leave often arrive first as they are ‘newer’ and faster. There were several celebrities on the event including Sir Stirling Moss, Jochen Mass, Nick Mason and Charlie Boorman. An ultra-marathon runner did the entire 63 miles on route, running against a friends car with a prize of the loser buying the ice-creams – his time was faster than James and Mike! 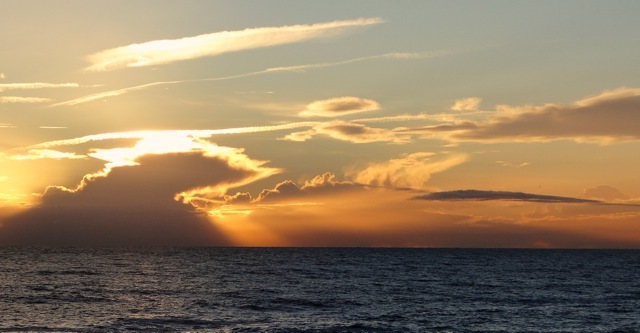 The final car crossed the finished line as the sun was going down shortly after 4.30pm. James and Mike arrived at 1pm, under six hours from leaving London and the fastest time Mike had ever completed the event in. 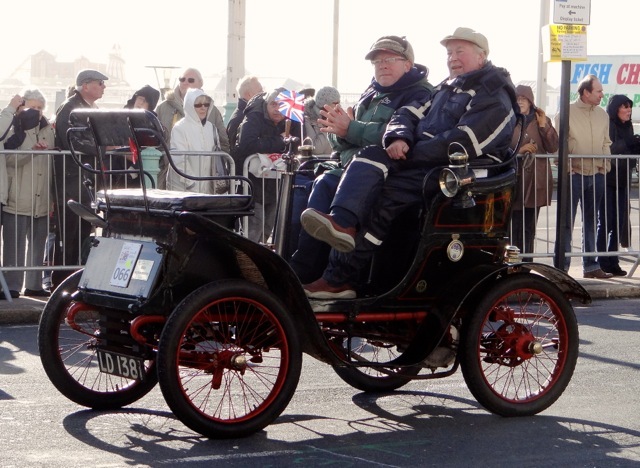 The De Dion had performed very well, much better than last year but then much tinkering has been done in the last twelve months. After some warming soup at the finish it was time to hit the hotel and a set of dry clothes before preparing for the post event VCC dinner.